Don't forget the optional extra set of attachment rings! 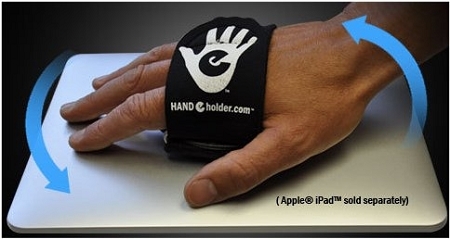 The Hand-e-holder™ allows you to hold and view your iPad™ or any other tablet device comfortably in one hand, while leaving your other hand free for other tasks. The HH device provides 360 degree rotation. 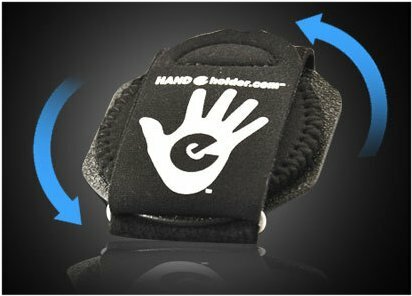 The holding strap is made of super comfortable neoprene and is adjustable to fit a large variety of hand sizes.The Hand-e-holder now comes with the portable Mini Stand. 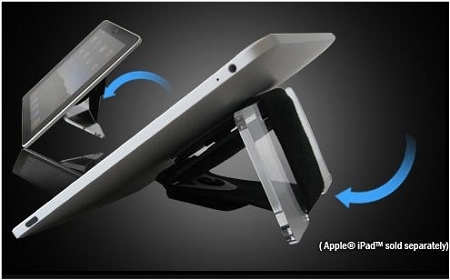 The Mini Stand is clear acrylic and utilizes the Hand-e-holder strap and hand plate to give you 6 viewing positions. The Mini Stand still allows for the Handeholder to rotate 360 degrees and you can display portrait or landscape! Conversion to and from is simple and takes seconds! Please don't get an imported tablet holder/ stand or accessory at the tech store in the mall-- buy a great American product from us instead. You do great things for the country and you get a great product as well.